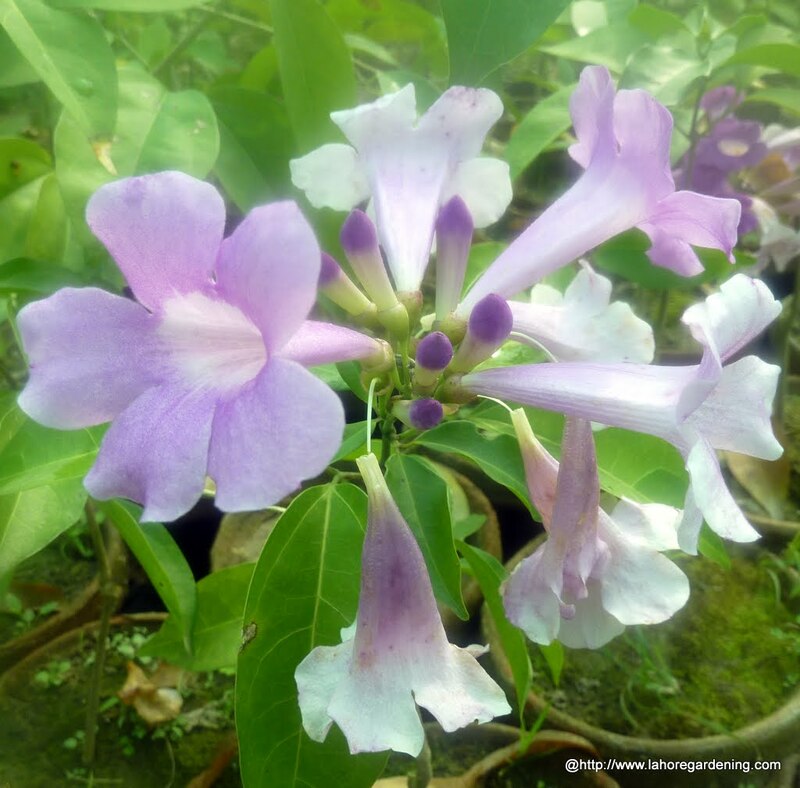 Let me share with you the flowers of Garlic vine, Thunbergia alba and Sprekelia today. Garlic vine is a beautiful climber from bignonia family. The flowers and leaves emit garlic odour hence the name garlic vine. Botanic name of garlic vine is Cydista aequinoctialis. 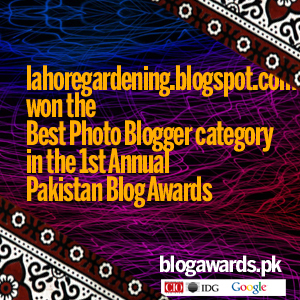 It grows very good in Karachi and Lahore. It flowers in fall and spring. In my experience it suffers from pests in fall specially mildew so you may need to spray it. It likes hot and humid so Karachi suits it better than lahore. There are some mature specimens growing for many years in lahore. 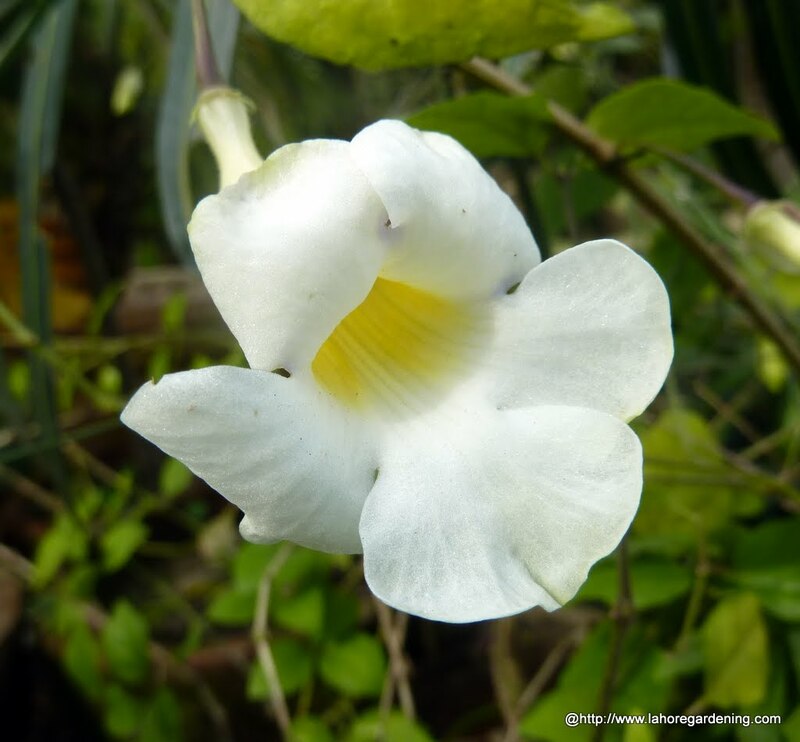 Another shrub growing in winter is Thunbergia erecta var alba. It is white color version of common blue Thunbergia erecta. Flowers are small but tub shaped and abundant. Last but not least, sprekelia formosissima is flowering in winter here in lahore. 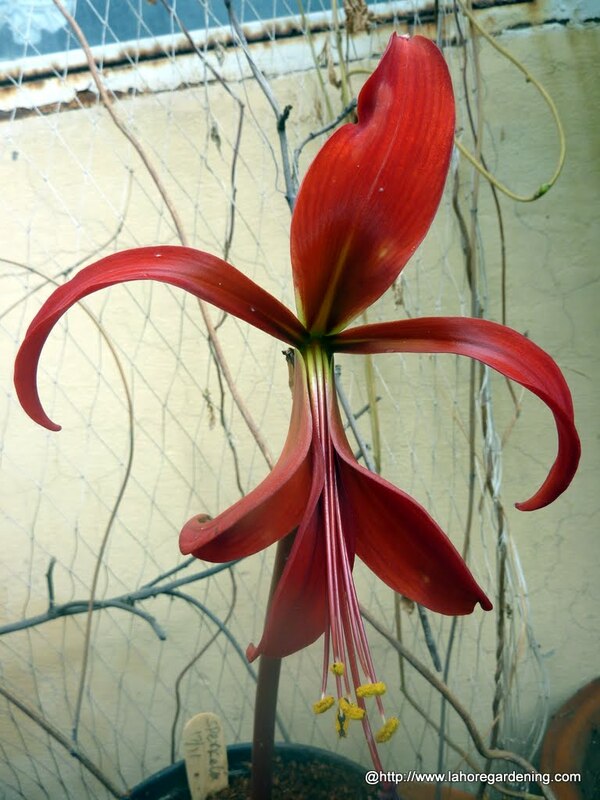 Its common name is aztec lily and it is a bulb from amaryllis family. It usually flowers in spring but maybe it is forced so flowering in winter. A good choice for hot climate. I have both the garlic vine and the white thunbergia erecta, also have the blue thungergia. I love the garlic vine. Have a rooted cutting that is in a pot and I need to find the right spot in my gardens for it. The main one just finished blooming and is such a beauty. Lovely to see these exotic flowers from a cold, wet and windy England. Happy New Year! Nice flowers ! and …Happy New Year ! Lovely flowers, especially the Sprekelia. Very pretty! Love the lavender flower. Love the lily. Happy New Year! What a lovely vine, that soft pastel color is very pleasing, isn’t it? Thank you for sharing on Weekly Top Shot #63! I’ve never heard of garlic vine–how have I missed this lovely plant? I think I need to find a spot in my garden for this addition. Thanks for sharing.